Adopting Camp has been equally the most rewarding and most difficult thing I've ever done. I can't explain how much I love that dog! Jack likes to play tough, but I know Camp has stolen his heart. Just look at him - how could he not? Before we adopted Camp, I thought we were prepared. 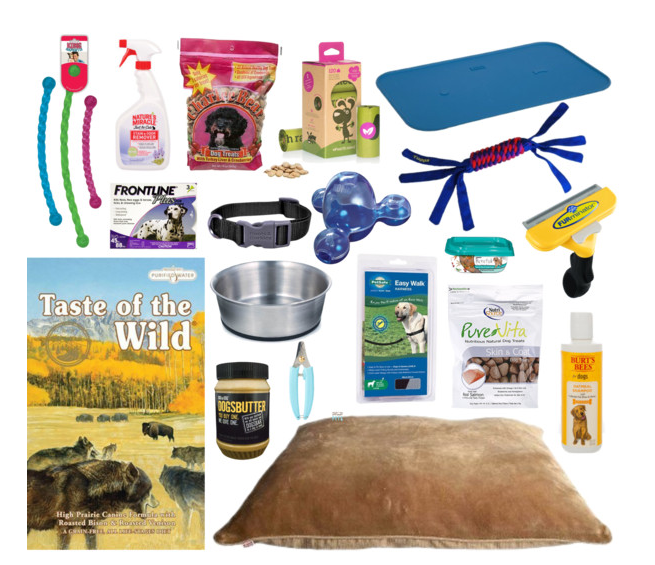 We had a kennel, a dog bed, dog food and bowls, some dog treats and a handful of dog toys. We're all set, I thought. Just writing that made me laugh. I had no idea what we/Camp needed until we had him. I feel like I've heard similar things about people having children (for all those who hate when dog parents compare themselves to "human" parents, I'm sorry!) Before we adopted Camp, I had these ideas in my head of the things we'd need, what we'd feed him, what type of leash would work best for him. But in truth, much of what I had envisioned before we adopted him was thrown out the window shortly after he arrived. I'm no expert yet, and Camp's needs/ likes/wants are constantly evolving, but here's what I do know: invest in things that last, purchase quality foods and invest in a good brush. The must-haves. Camp is up to date on all of his shots (distemper, bordatella, rabies, etc. ), and was neutered before we adopted him. In addition to his basic shots, we opted to have him receive his leptospieros and lyme disease shots, since we spend so much time with him outside. He also takes a Frontline chew each month for fleas and ticks. Toys. Camp's happiest, calmest and best-behaved when he has quality toys. We've learned the hard way that cheap toys are cheap for a reason; don't expect them to last longer than 20-30 minutes (at least, that's the case with our 60 pound beast of a dog). We've learned that Kong toys hold up well and keep Camp occupied and happy (his current favorites are here and here). We've also invested in a few of Kong's "mental stimulating" dog games (like this one) that do keep him occupied from time to time. Sleep. We quickly learned that Camp has kennel anxiety from being in shelters for the majority of his life. We tried kenneling him soon after we got him, but it's just not for him. We're lucky he's pretty well-behaved when we leave him out in the apartment all day. It makes having to go to work much easier knowing he's king of the apartment all day! Instead of his kennel, Camp has a pillow bed from Boots & Barkley. He loves it and lays on it constantly throughout the day. Treats. Let's be honest, we could give Camp any kind of dog treat and he'd happily eat it. However, we've opted for treats that contain quality ingredients and are healthier, since we usually are giving him so many! Right now, we've been giving him NutriSource and Charlee Bears. In addition to dog treats, peanut butter is gold. When we leave him alone on the weekends (especially if we're feeling guilty), we'll fill a dog bone or his Kong with peanut butter. He'll spend hours chewing on it and eating the peanut butter. It's magic. Meal time. Similar to his treats, we've been buying quality, grain-free food for Camp. He eats twice a day, and lately we've been mixing Taste of the Wild dog food with a bit of wet food (right now, it's Beneful). When we adopted him, we invested in stainless steel bowls (which will last forever) and a food mat. Camp's still pretty messy and gets water all over the place, but the mat helps! Outdoors. Camp's collar is as straight up and simple as it gets. For his leash, we opted for a Gentle Leader harness. Camp likes to pull on the leash and is ridiculously strong, so this helps me take control when we're out on our walks. And when we're out, you can't forget the poo bags! My favorite are the lavender-scented Earth-Rated bags. Not only are they strong, they smell GREAT (yes, you heard that) and are eco-friendly. You can read more about them here. I love this company! What products do you swear on for your pet?